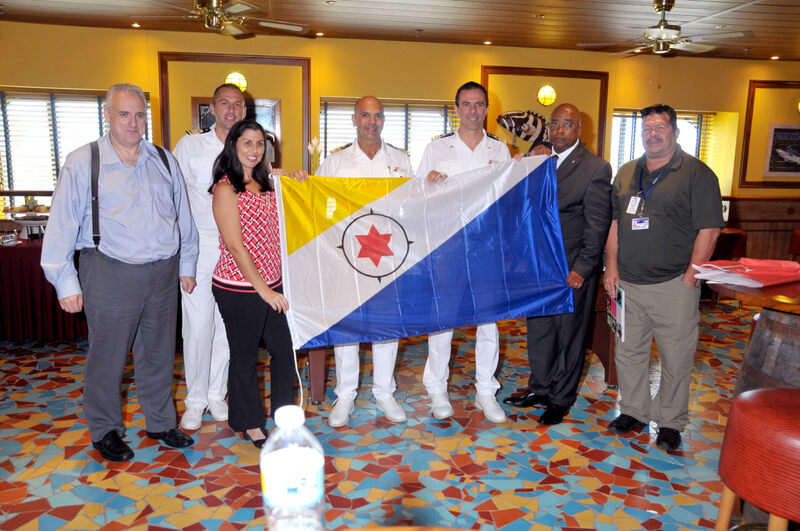 To commemorate Carnival Pride’s inaugural call at Bonaire, a traditional maritime plaque exchange was held on board between Captain Francesco Borgogna and local officials. 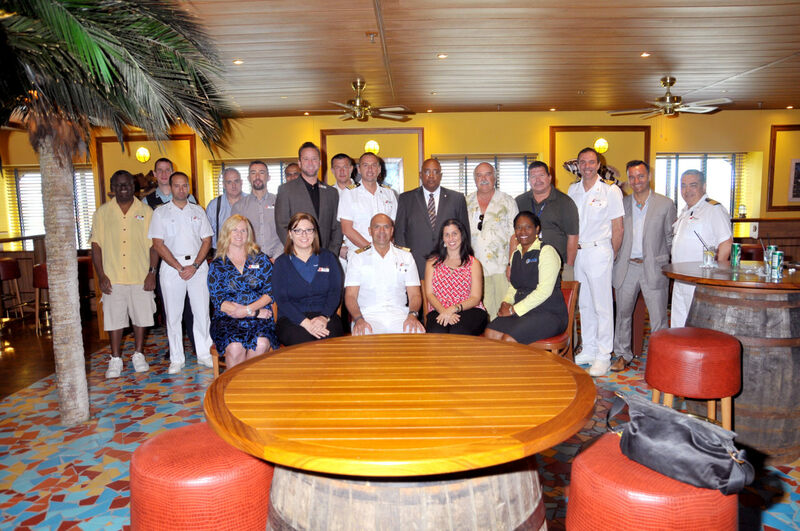 Carnival Pride visited Bonaire as part of a 14-day voyage that departed Tampa March 15 and arrives in Baltimore on March 29, positioning the vessel for the resumption of year-round service from that port. During Carnival Pride’s call at Bonaire more than 2,000 guests had the opportunity to experience and explore the tropical island paradise which is located off the coast of South America and surrounded by vibrant coral reefs popular with snorkelers and scuba divers the world over. In addition to the call by Carnival Pride, Bonaire is a featured port on select longer length voyages of the Carnival Glory, Carnival Dream, Carnival Liberty and Carnival Triumph.